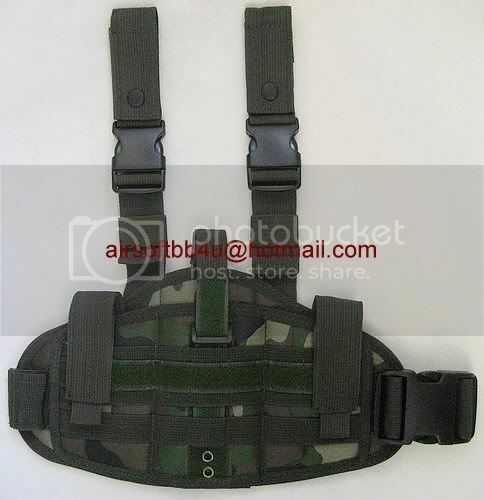 A leg platform hidden holser with MOLLE cross-webbing for mounting a variety of pouches. Leather material on the back, make sure the holser firmly in place of the leg, fully adjustable to cater for most sizes of pistols, including the MK23. 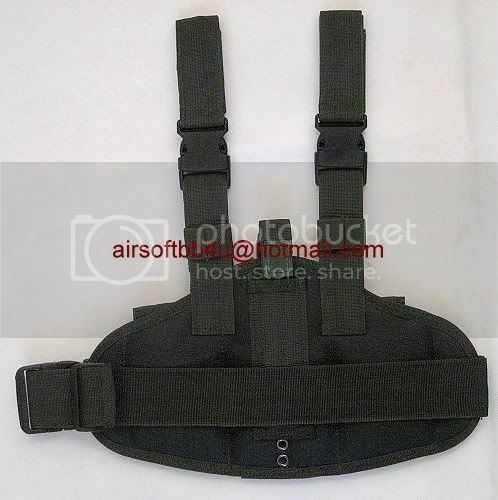 This holster can holds 2 additional magazines on the both side.